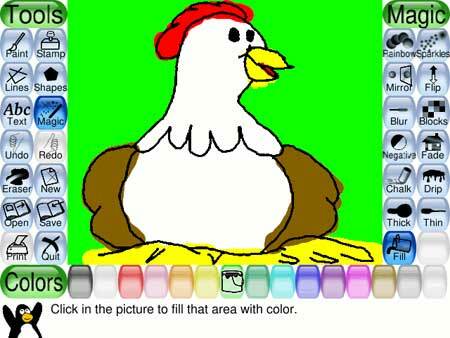 Tux Paint is a Portable free drawing and painting program that was specifically created for young kids ages 3 and up (preschool age to k-6). This Free Drawing and Painting Software is super easy to use and incorporates an “encouraging cartoon mascot” and fun sounds to help guide your child through the program. Help your child brush up on their art skills and bring out their creative side. This USB App is Categorized Under: Portable Graphics and DesignNo tags for this post.